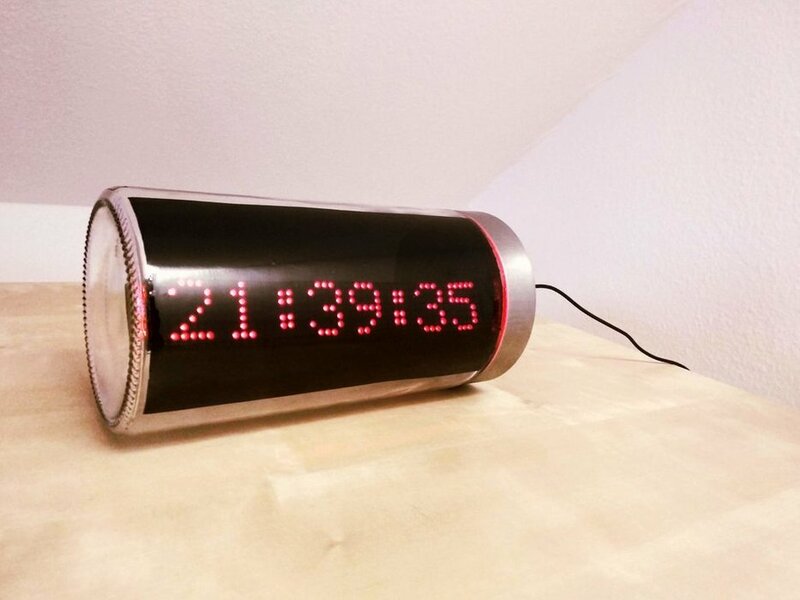 Cameron Meredith build a real-time-clock module controlled by a rubidium frequency standard, and since it also includes a GPS clock he can track local time dilation effects by comparing the two. An I2C multiplexer board allows for more than one RTC module (Since these have a hard coded I2C address you can normally only use one). 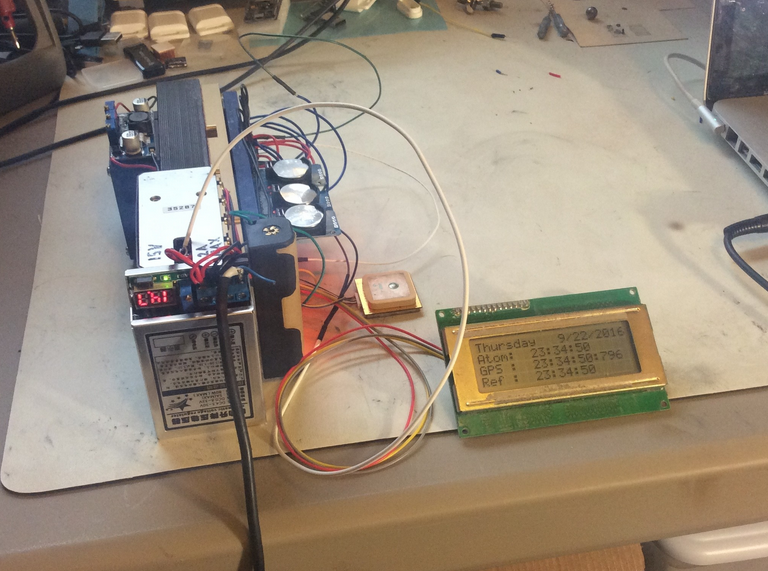 I went for three – One tracking GPS time, another tracking the rubidium standard, and the last one as a control or reference clock – without compensation. 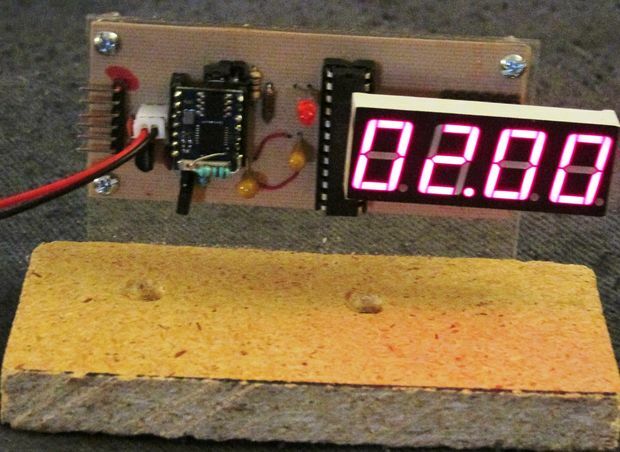 An arduino knock-off compares the relative delay between the pulse-per-second outputs from the Rubidium standard, Real Time Clocks, and GPS. After some defined time divergence, the RTC aging compensation register is updated to refine or maintain overall agreement. 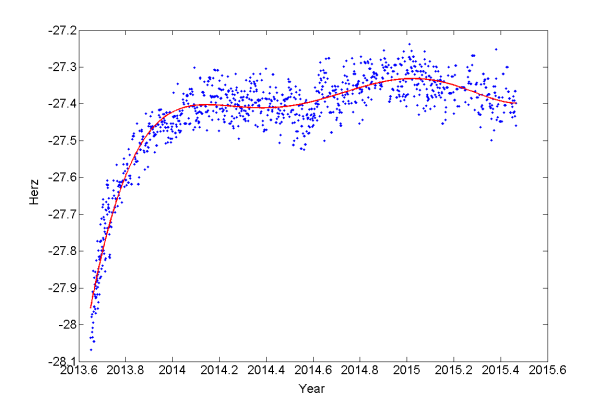 Essentially herding the RTCs so that their output stays within bounded agreement with the Rubidium standard and GPS.